Beng Chye has been in practice for almost two decades and he is currently a partner with the Restructuring & Insolvency practice (“R&I”) of Rajah & Tann Singapore LLP. 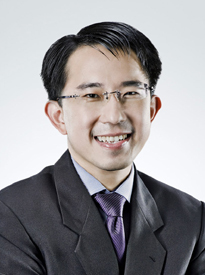 He has been recognised by Best Lawyers in Singapore (2019) for Insolvency and Reorganisation law. Beng Chye was admitted as an advocate and solicitor of the Supreme Court of Singapore in 2000. He specialises in bankruptcy and corporate insolvency, as well as debt restructuring, judicial management and schemes of arrangement. Beng Chye has been actively involved in almost every major restructuring / insolvency matter in Singapore and is often the first port of call for the banking and financial institutions. His notable cases including Hyflux/Tuaspring, Triyards, Swiber, Nam Cheong, Hanjin, OW Bunker, Pars Ram Brothers, KrisEnergy, Mercator Lines, Hoe Leong Corporation Ltd, Panoil Petroleum, Universal Energy, and Otto Marine Ltd. He represented PricewaterhouseCoopers as the Receivers and Managers of Treasure Resort Pte Ltd (Receivers and Managers Appointed) (In Liquidation) in the sale of the hotel at Le Meridien Singapore Sentosa. He was part of the R&I team who had advised China Aviation Oil (Singapore) Corporation Ltd (“CAO”) in one of Singapore largest successful corporate debt restructuring exercises, involving over US$550 million. CAO received resounding support (over 90% in value and in number) for its debt restructuring plan from its creditors, and the Scheme of Arrangement was sanctioned by the High Court of Singapore in June 2006. In addition to debt restructuring, Beng Chye also advises on liquidation (voluntary and compulsory) and judicial management. He was part of the team that advised the liquidators of Lehman Brothers Singapore. He had advised the Judicial Managers and later successfully applied to the High Court for the appointment of Liquidators for Wan Soon Construction Pte Ltd, a large construction company in Singapore which was previously graded by the Building Construction Authority as A1 Unlimited for General Building and Civil Engineering. He acts in a broad range of commercial disputes and is regularly instructed by banks and leading financial institutions. He successfully represented Sunmax Global Capital Fund 1 and its director to recover more than $16m in damages arising from the Asiasons and Liongold shares, which were involved in the 2013 penny stocks collapse - Neptune Capital Group Ltd and others v Sunmax Global Capital Fund 1 Pte Ltd  4 SLR 1177. Beng Chye also specialises in hire purchase and auto-finance industry, and he has handled block discounting, floor stock and hire purchase financing for major banks and financial institutions. He was formerly the Legal Advisor for the Singapore Vehicle Traders Association (SVTA) and had represented them when the financing curbs were imposed by MAS in February 2013. Advised China Aviation Oil (Singapore) Corporation Ltd on debt restructuring and Scheme of Arrangement in one of Singapore’s largest debt restructuring exercise involving about US$550 million. Successfully acted for Life Glow Asia Pte Ltd on appeal in the Court of Appeal. Acted for Wan Soon Construction Pte Ltd in judicial management and subsequent compulsory liquidation. Represented the minority shareholder and director in a minority oppression suit against the majority directors and shareholders of SEA Hydropower Pte Ltd. The action involved elements of minority oppression and breach of fiduciary duties, and cumulated in four back-to-back trials in the High Court. Acted for Advanced Systems Automation Ltd in debt restructuring and Scheme of Arrangement. Acted for SK Global Asia Pacific Pte Ltd in debt restructuring and Scheme of Arrangement. Represented OCBC in claim of over S$4 million against Frankel Motor Pte Ltd, a major car dealership and parallel importer company in Singapore. Represented United Overseas Bank Ltd in applying to the High Court of Singapore to appoint provisional liquidators for EC Asia Ltd (a public company formerly listed in the Australian Stock Exchange) and later successfully wound up the company. The director of EC Asia Pte Ltd, Kelvin Ang, was subsequently convicted of massive invoice financing fraud. Represented a major construction company, Lian Beng Construction Ltd, in a claim for over S$9 million against another listed construction firm, Manhattan Resources Ltd. Represented Swiss Butchery Pte Ltd in a claim in the High Court of Singapore against the company’s former director, his sons and their company, Huber Pte Ltd, for breach of fiduciary duties and conspiracy. Advised the judicial managers and liquidators of Singapore-listed Zhonghui Holdings Ltd. Advised the Liquidators of the Lehman Brothers Singapore entities, where the Singapore High Court made a ruling on a novel point of insolvency law relating to foreign currency conversions in creditors’ voluntary liquidation. Represented the wine investors in their claim against Assets Wine Management Pte Ltd after the directors disappeared. Also advised the Receivers and Managers in the recovery, proper and orderly distribution of the wines. Represented the group of seven shareholders who successfully requisitioned for the Extraordinary General Meeting to replace the directors of Singapore-listed Goldtron Ltd. Acted in the watershed personal insolvency cases in Cheo Sharon Andriesz v Official Assignee of the estate of Andriesz Paul Matthew, a bankrupt  2 SLR 297 and Dato Rickie Tan Yong Kiat v Sinesinga Sdn Bhd & Ors  SGHCR 6. The former case was a landmark decision by the Singapore Court of Appeal on Section 77 of the Bankruptcy Act (Cap. 20) to invalidate an earlier matrimonial court order to dispose of assets just prior to the making of the bankruptcy order. This decision led to a policy change and amendments to the Practice Directions of the Family Court and High Court. The latter case was one of the few reported Singapore decisions on cross-border bankruptcy and the recognition of foreign personal insolvency proceedings.